Here’s how the flying sausage gets made. Checking to make sure the camera and bundled-in SD card work is integral to the process, but sometimes factory workers forget to erase the test footage. So: Drone arrives. Customer loads memory card. Footage of incredibly bored guy paints a strange portrait of said drone’s tedious birth. It’s odd, voyeuristic, but not without precedent. 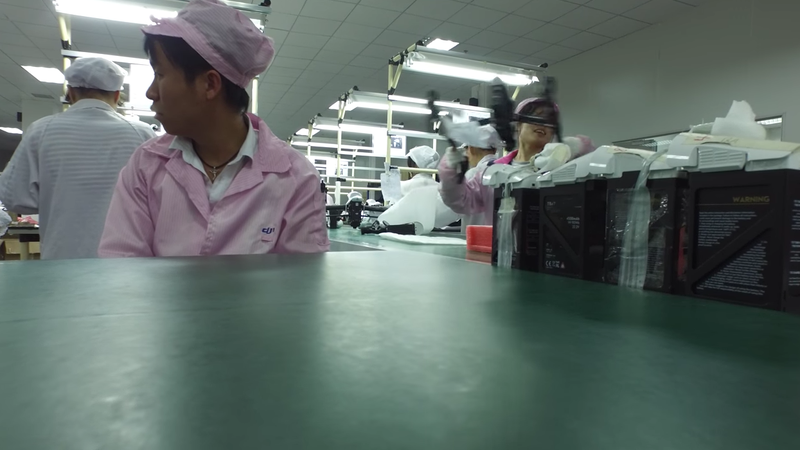 The DJI factory has slipped up a couple times in the past with other “bonus” clips revealing some of the assembly process. It likely none of the videos are filmed from close enough to reveal any trade secrets, but they certainly illustrate the monotony of building expensive flying toys.